In 2008, REW exclusively reported that the building was purchased by Chinese oil company China Sonangol, which bought the six-story landmark from Africa Israel for $150 million. The former headquarters for JP Morgan & Co., the corner building has a total of 160,000 s/f. 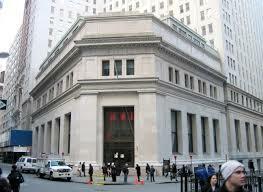 Africa Israel and Shaya Boymelgreen had purchased the building along with 15 Broad Street in 2003 for $100 million. The upper stories of 15 Broad were converted into apartments. Africa Israel gained full control of 23 Wall Street in 2007 following what would become a years-long legal wrangle with condo buyers who sued over the shoddy conversion. They used the space to host various broker events and film shoots before selling it to Hong Kong-based China Sonangol, a company led by shadowy Chinese billionaire Sam Pa.
Pa was arrested last year by Communist Party authorities probing corruption in China’s energy industry. Terzi, who could not be reached by press time, has built a reputation for striking fruitful retail deals across Manhattan. 23 Wall has come close to being leased to some high-profile tenants throughout the years, including Brooks Brothers and a multi-media event company, but they all ultimately fell through. High fashion retailer Hermes has been a retail tenant at 15 Broad since 2007. Built in 1913, 23 Wall was later linked to include portions of the bottom floors of 33 Wall St., around the corner, and 15 Broad St. While still the headquarters of JP Morgan, it was simply known as “The House of Morgan,” and is known for its classical architecture and once beautiful interiors, which included a massive crystal chandelier and English oak paneling.